Hario Cafe Press Slim is a typical French Press, red version, made in Japan. Capacity: 240 ml Colour: red. Small and handy, used to brew 2 cups of tea or coffee. Just pour hot water over ground coffee, press the brew and, in a few minutes, you can enjoy your favourite coffee! 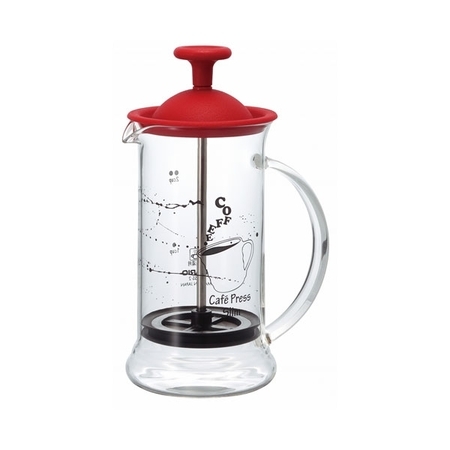 How to prepare coffee with French Press? You can find the answer in our Knowledge Base: French Press.